ABC says Lost's final images of plane wreckage were "not part of the story"
[SPOILER ALERT, OBVIOUSLY] Chief among the debates still lingering from Sunday’s Lost finale—besides whether Sayid and Shannon will totally get married in Shiny Light Heaven, of course—is the question of whether those final, silent images over the credits of plane wreckage on the empty beach held any deeper meaning. Specifically, some have speculated that it was meant to suggest that no one had ever survived the crash of Oceanic 815, and that the entire show had taken place in purgatory—despite the fact that, you know, Christian Shephard stated, in plain, listen-up language mere moments before that that was expressly not the case, that everything had actually happened on the island, that everyone in the group had died at different times, and that the Sideways World was the “purgatory,” if you want to call it that—which has caused many (including some professional critics) to write the whole series off as an extended shared fantasy that took place solely in the characters' minds. 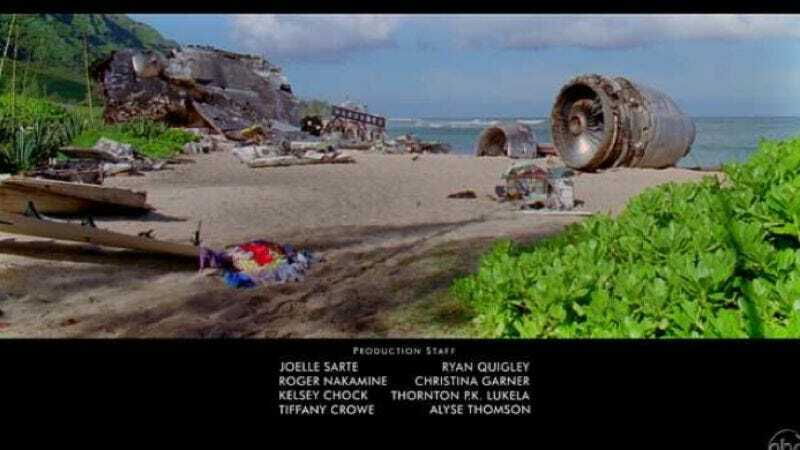 Still others have speculated that the wreckage was actually the crash site of Ajira 316—despite the fact that it would be unusual even for the creators of Lost to assume viewers would make that interpretive leap, and which would have put a rather jarring coda on an otherwise sappy ending. Well, as it turns out, this particular Lost debate is a little more pointless than usual: Those final images were simply inserted by ABC as “a visual aid to allow the viewer to decompress before heading into the news,” and were never meant to be seen as part of the plot. (Little did ABC know, apparently, that Lost fans tend to obsess over the most minor of details to fuel their speculation, and that they’ve become so inured to misdirection that they would actually be searching for “clues” moments after getting the only straightforward answers they were ever going to get.) Please adjust your theorizing accordingly.